Hello, all who read these lines. I have become what we DSAers in our youth used to call “old socialists.” It wasn’t a derogatory term because we were tipping our hats to those who had hung in there over the decades and not “sold out.” I hope, now that I am closer to 70 than to 65, that I and my cohorts will win a kind appellation such as that. 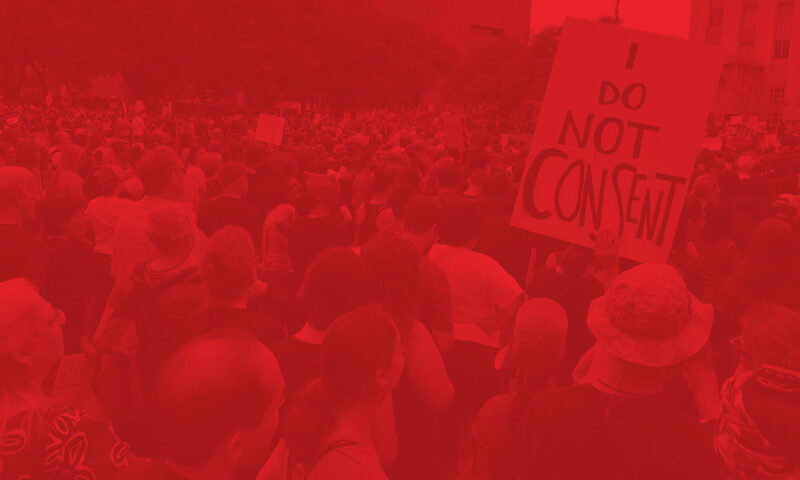 I am proud of Houston DSA now, especially because my younger comrades, which means at least 90 percent of the local chapter, have been doing some very impressive things, walking the walk as well as talking the talk. Those of you who helped working class and poor folk with the heavy flooding the Houston area experienced in 2017 deserve special commendation. When thinking about defining democratic socialism, I think of FDR’s Four Freedoms: Freedom of speech, Freedom of worship (or non-worship), Freedom from want, and Freedom from fear. We strongly agree with liberal democrats on the first two freedoms. I think what particularly distinguishes democratic socialists is our emphasis on the “Freedom froms.” We believe that human beings now have the technology and the capability to make sure that all humans have the necessities to live a decent life, including nutritious food and clean water, decent housing, and good medical care. As we look around, we may note that while there is some attempt to provide these things, it is a pretty spotty and happenstance effort, both in the United States and outside our borders. Just think about all the jobs that would be created if we systematically set out to make sure everyone is free from poverty! “Freedom from Fear” is related to “Freedom from Want.” Once one has the basic necessities—food, water, clothing, medical care, and the like, every person should not fear that these things are going to be taken away by someone, a dictator or an authoritarian government. It also means being free from the mass shootings that seem to be almost a daily occurrence, and being free from the intimidation of hate groups. Once we have achieved these freedoms we will have come pretty close to the attainment of democratic socialism.